External filters for aquaria need to have sufficient reserve performance capacities in order to provide for a suitable aquarium water circulation at all times. A sufficiently strong current disperses the nutrients equally in the entire tank. Plus, CO2 is also transported even to the inside of dense aquatic plant populations. Moreover, external filters remove noxious substances from the water, thus improving water quality significantly and providing the tank inhabitants with clear, clean water. Another advantage of an external filter is its location outside the tank. It leaves aquascapers more freedom when decorating their tanks, as they are not visible inside the aquarium, as an internal filter would be. Internal filters take up a lot of space in an aquarium, and they are difficult to hide behind aquatic plants or hardscape. 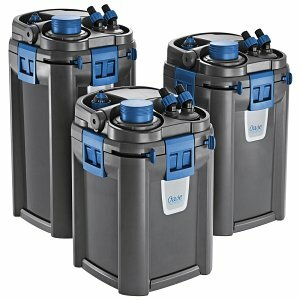 For aquascapers, an external filter is always the preferred choice. Filters are the technical heart of the aquarium and important for the stability of the microbiological ecosystem. 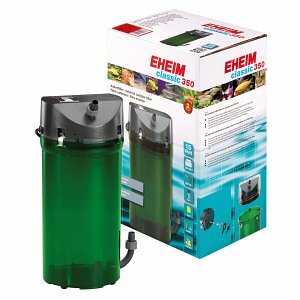 The filter keeps the water in the aquarium clear and clean and ensures a consistent water quality. 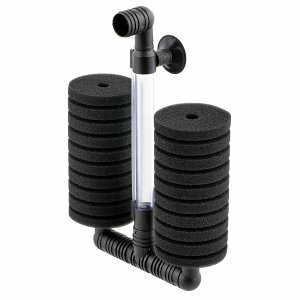 In addition, the filter is responsible for the flow conditions and water movement in the aquarium. Good circulation is important for the distribution of nutrients needed by aquarium plants and important micro-organisms such as the bacteria, which need a good oxygen supply for the degradation of pollutants. But also flow-loving fish and other aquarium dwellers demand a natural setting. 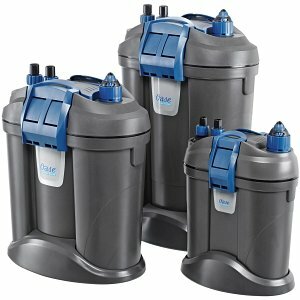 When purchasing a filter for your aquarium you have several options to choose from. In principle a distinction is made between internal filters, external filters and hang-on filters (rucksack filters). Internal filters are, as the name implies, inside the aquarium. A good option, if you do not have much space for technology outside the tank and do not use a base cabinet. In an aquascape an internal filter would distract and generally be in the way, first of all it takes up space and design room, and on the other hand it is a visually disruptive technical component (if it is not cleverly hidden behind plants or decoration). 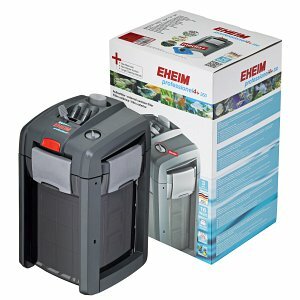 External filters are therefore recommended for aquascapers, which are usually stored in a base cabinet. The filter is connected to the aquarium water via hoseline, inflow and outflow. The technical components are hived-off, not taking up much room in the tank itself. 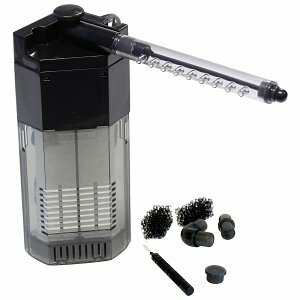 An external filter is also much easier to reach for cleaning and maintenance. If you would like to keep the hoses and filter tubes even more inconspicuous, you use transparent hoses and filter inlets and outlets made of glass, which has pretty much turned into common standard in aquascaping. Other aquarium equipment like a heater or a CO2 diffusor can also be integrated into the external filter's cycle, effectively banning them from the inside of the aquarium tank. So-called thermofilters are available, too which have an integrated heating element or can be retrofitted with one - so the heater disappears from the aquascape as well. In our online shop you can purchase external filters manufactured by Oase, which we present in more detail in this article. Of course we also offer filters by other renowned brands such as JBL, ADA and Dennerle. 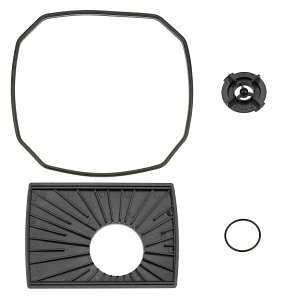 An intermediate solution between external- and internal filter is a so-called backpack filter. The filter unit is located outside the aquarium and hung over a side panel (hang-on principle). So precious design space won't get lost inside the tank without the need for a base cabinet to hide everything. This is a great solution, especially for small nano tanks placed on desks or drawers. Pure flow pumps are also available in our shop. 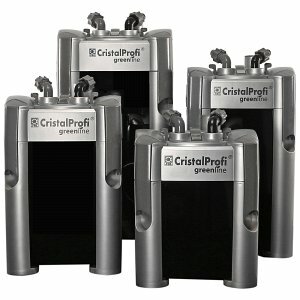 These are meant less for filtration, than for water circulation benefiting flow-loving fish and shrimp like Atyopsis. A sufficient flows is also important for aquatic plants and their supply with nutrients. Weaker external filters can and should be supported by an additional flow pump.